Urban Indy has obtained renderings of the revised mixed use development being proposed for the former Shell station (and neighboring apartment buildings) on the north side of the Central Canal in Broad Ripple. Initial renderings of the project, which we aired in April, resulted in an uproar from residents and business owners of Broad Ripple. Browning Investments, the developer of the now (up to) 100 unit apartment & retail complex, went back to the drawing boards after the initial renderings were released. Public feedback was accepted and considered in these renderings. Retail space has been revised to 32.5k square feet from the previous 35k. Much ado has been made of the policy side of this proposal from the request of TIF funds for construction to the luring of Whole Foods as the potential tenant of the retail portion. What hasn’t received a lot of attention are the design merits of the project; which is what we hope to tackle in this post. The new renderings still indicate a large massing at the intersection of the Central Canal and College Ave. A diversity of materials appear to be proposed which would suit the context of the corridor which they face. Other major changes in this round of revisions include the addition of more apartment units on the Carrollton Ave side of the development. A large circular open space appears to be a focal point where the tow path crosses the canal. Could this be a place for future programmed events? A somewhat dominating parking structure is still slated for the north side of the site however, the addition of apartments on Carrollton seems to have mitigated the unsightliness of the initial design. Additionally, sidewalks along Carrollton could go a long way towards transforming the street which currently lacks any sidewalks. Also included with the latest renderings is a loose traffic circulating plan indicating where ingress & egress from the structure would occur, a potentially above par IndyGo bus stop and the location of the commercial vehicle loading dock. Perhaps troubling to some is the amount of automobile traffic congestion that could be induced by this new development. College Avenue, already a busy arterial street, could be subject to an increase in resident and commercial user traffic. 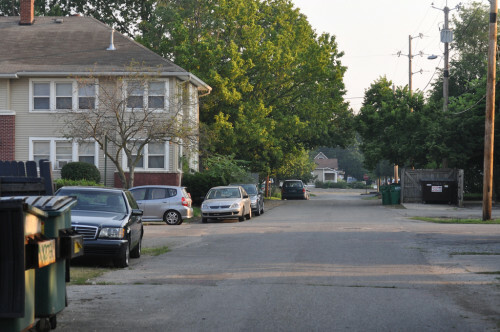 In addition, Carrollton Ave would become a secondary egress to the parking structure taking with it 64th street, itself a narrow secondary street. Will these small village oriented streets be able to handle increases in automobile traffic? According to a draft traffic study obtained by Urban Indy, a traffic signal could be installed at the entrance to the parking structure. Concerns over traffic congestion prompted BRVA to request that the developer undertake a traffic study, which occurred in June. The study suggests that significant alterations to traffic patterns at College & Broad Ripple Ave. and College & 64th St. are not necessary, however, a traffic light could be installed on College at the entrance to the site. 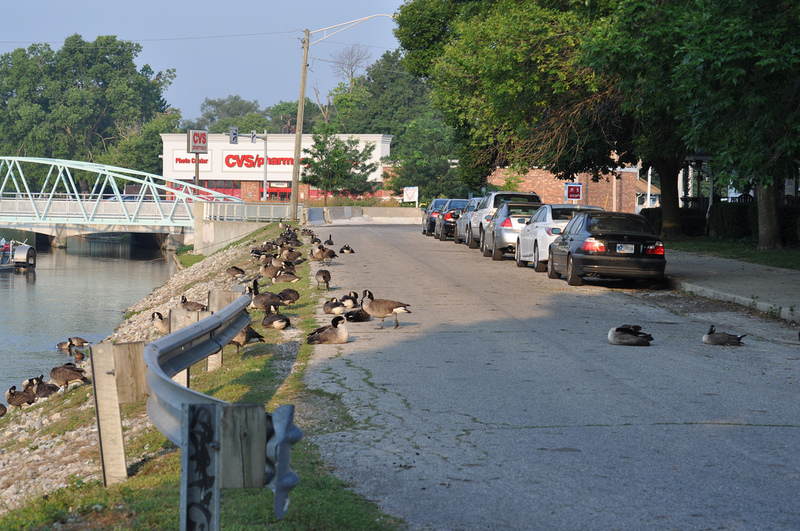 Of course, an alternative exists in the pedestrian and bicycle friendly nature of Broad Ripple Village. 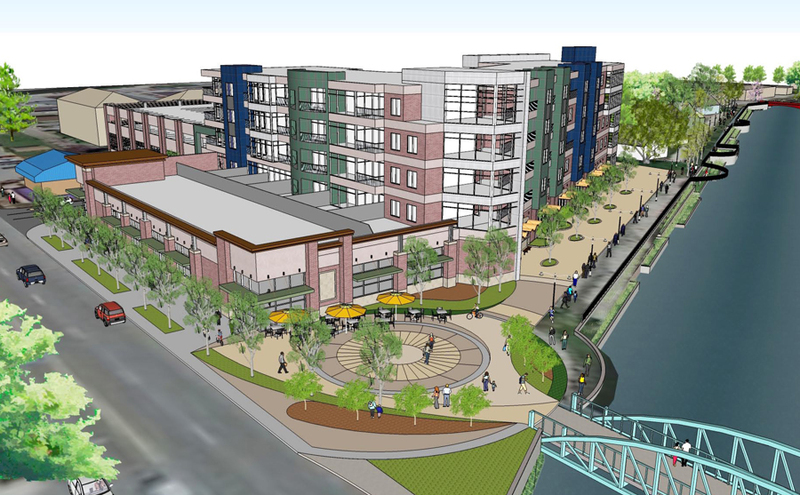 Indeed, this development would lie adjacent to the Central Canal Tow Path and steps from the Monon, both offering easy pedestrian and cyclists access. Furthermore, the IndyGo 17, with stops on Broad Ripple Ave, would be well positioned to deliver customers as would the 18. Possible future Red Line service could also interface with the development. Hopefully, a robust transit stop materializes with this development since nothing materialized on the property of the new mixed use parking structure just south of here. Taken as a whole, residential density (over 50 units/acre) would see a vast increase with this development taking a step towards making Broad Ripple much more viable as a transit supportive village typology. While the developer has not requested LEED certification, it should be noted that the increased density is itself much more efficient than single family units. It will be interesting to see how this development could change transit usage patterns and affect people’s propensity to cycle to the grocery. Perhaps I am biased since this is how a lot of my family’s grocery shopping is done though. Sadly, another dominating structure solely dedicated to automobile parking will be some of the baggage this development will bring with it, but I suppose it is a trade off that Indianapolis will have to accept for the foreseeable future as robust rapid transit is not yet a reality. Thanks for the update. Opponents weren’t happy over the height of the structure as well; were there any changes on that front? Looks similar to the Conseco Fieldhouse parking garage disaster over Virginia. And is that a full access driveway coming out next to townhouses? Really a terrible attempt at good urbanism that will be sold on the simple fact that it’s an improvement over what’s there. Settling. Curt, what is your opinion on how the rendering changed in how the development relates to the canal? I know you mentioned that any changes must be approved by Citizens, but in the first rendering (http://www.ibj.com/ext/resources/blog/propertylines/B/Broad_Ripple_Browning_rendering_900px.jpg) there appears to be a legitimate attempt at a pedestrian boardwalk type of frontage, whereas it disappears from the second rendering. This is an area I believe Indy really struggles with, and that other truly well-designed cities excel at. Based on what I know, Citizen’s Energy is the only group permitted to make changes to the canal. I do not know how far that extends from the banks so it may be that in this case, they are not permitted to do much. My personal beliefs agree with you though. I operate on the premise that design matters and when the fine grain detail, usually taken at pedestrian perspective, is glossed over, we get a perceived lower quality experience compared to other places. In short, I don’t have an answer. Seems fine. Not every development has to knock your socks off. Let’s not make the perfect the enemy of the good. Honestly, for all the talk of BR over the years I am surprised there are not more nice apartment options there near the main drag. For the good of the city as a whole I think some new densification in this area is a welcome positive. Exactly. If you can’t densify an area with transit, jobs, shopping, recreation, “bike highway” (Monon) and nightlife all within walking distance…and a mall and library within biking distance…where CAN you add density? Paul, there aren’t more apartments mainly because of the staunch NIMBYs that have been a part of BRVA for years. They want to keep BR a quaint, quiet single-family home inter-suburb. Reality is finally starting to kick in that Broad Ripple isn’t a suburb anymore. It is quite easy to become involved in the BRVA. Anyone who lives, works, or plays in Broad Ripple can be a member. When I was involved we often struggled to find volunteers. We need more urban minded pro-density, pro transit voices to join. I’m thinking about becoming active again almost entirely due to this project. I’m not sure why the support local mantra only extends to small business. Last I checked Browning is an Indianapolis firm. It is too bad that the voices speaking up focused on Whole Foods as a competitor to a niche vendor who has never made me feel welcome. I would have rather a debate on the actual design and function of the space. Honestly, I think the developer thought Broad Ripple would’ve excited about the Whole Foods. Otherwise, they likely would have kept the tenant under wraps until later. Please join the BRVA and change the conversation. This scheme is a pretty straightforward, simplified and efficient diagram for a mixed-use project, which likely makes the design more affordable to build for the ownership team. From what I can see, it’s a parking garage wrapped on 2.5 sides by apartments with an attached medium-box store. The design is acceptable, but not exciting or interesting in any way. I have two observations – First, it looks like the grocery component on College Avenue has a raised parapet with false windows above the real windows. This is known as “second-story look,” and it is encouraged in some of the municipalities north of Indy. This is a really trite and generic way to make a one-story building look taller and give the impression of a two-story building. I would encourage the design team to reconsider this and instead bring the actual glazing all the way up to the bearing of the roof structure. Most grocery stores have structure up at 16-20′ and leave the trusses and deck exposed. This could be very elegant to look at as opposed to blacked-out spandrel false windows above. Additionally in this scheme, the western apartments would be looking down at a roof and the back of tall parapets. That’s not the view I would want in Broad Ripple. Consider a low-slope standing seam roof instead. Or maybe a barrel vault structure (a grocery store classic)with a seamed metal roof. Secondly – some cladding treatment on the garage which faces College Avenue would really help the first impression of the project. Consider perforated or translucent screening in a pattern so that the west facade does not look like a garage. Maybe even a commissioned art piece there such as Wishard has done. I can’t tell from the renderings if the first floor along the canal is retail or apartments. This should be retail and it would be a huge disappointment if these are apartments. Please take a very small risk and build what should be there to activate that area. Overall, I hope this project moves forward as I think in scope it is a perfect fit for the site. I hope the design team can find the vibe of Broad Ripple and create a project which both satisfies it’s owners and creates an interesting and unique building in one of Indy’s most interesting neighborhoods. I like the overall concept and it’s walkable for my wife and I. I agree that the rootop looks “stark” in the renderings and wondered if a “green roof” or some sort of rooftop usable space could be required? The old rendering had some rooftop decks, which appear to have been removed in this iteration. Green roof installations typically cost a developer more than a regular roof. In addition they add structural cost because they can require a fair amount more load-bearing capacity to manage the weight of water retained. In winter, they act as insulators, so in snow and ice can build up instead of melting and running off as water. In warmer weather, the soil absorbs and holds water, releasing it slowly by seepage and transpiration. Indianapolis does offer a waiver on some stormwater fees for “green” stormwater features, but it isn’t typically sufficient to amortize the extra cost within a developer’s investment return parameters. I think it looks like a factory, minus smokestacks, will be built in Broad Ripple. A push that broad ripple has needed for some time now. I would hate to see broad ripple remain the same size 15 years from now. Why? It’s been successful, things don’t always have to EXPAND especially when they have VILLAGE in their name…. Somethings are better left “AS IS”. Though I am for development, I think this project is not right for the area. Broad Ripple / Meridian Kessler is a great place to live. I vote for keeping it free of new development with poorly designed architecture. Look at downtown – so much architecture of new apartment buildings will be eyesores in the next 15-20 years. Bad Facade design and poor use of materials. Keep Broad Ripple the same!!! Put whole foods at 54th & Keystone or 46th and Keystone where it should be!!!! Whay can’t new development go where things are bad anyway. Why does it always ruin our neighborhoods. Look at the aprtments/condo’s Bart Pettersons Admin approved in Broad Ripple…. Barts Gone, the Condo’s remain unfinsihed and our neighbhood now stands prostituted by this half completed project. By the way did someone payoff the MDC in this project????? Probably, just be thankful that they were forced to make even a slight change, other projects can be expedited (on top of given TIF funds (your tax money)) without any question. All I can do is shake my head. 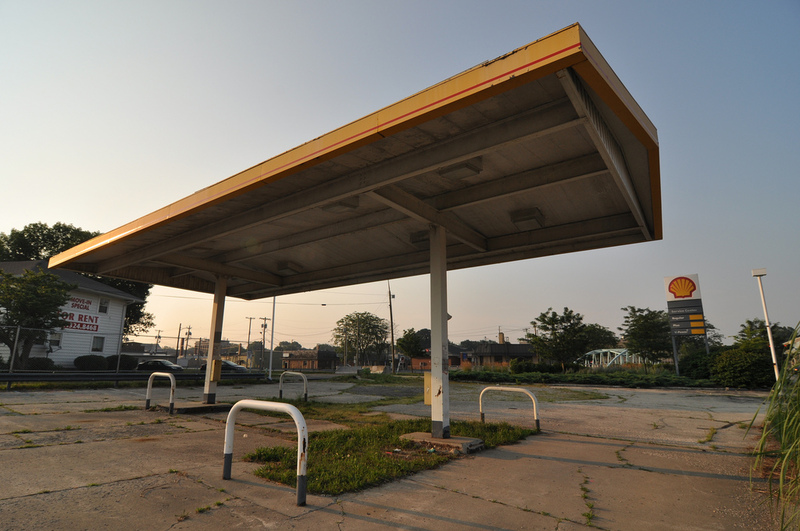 If Broad Ripple stays the same, it will get left behind and you will be left with a shell (er, Shell?) of a once great neighborhood. Placing Whole Foods in the heart of Broad Ripple will definitely improve Broad Ripple in terms of its walkability and appeal for the next generation. Otherwise, all those young kids that would have been keeping Broad Ripple alive and vibrant will instead be hanging out downtown. That may seem nice, but you won’t like the results. The merits of Whole Foods and this development are debatable, but keeping Broad Ripple “as-is” is unrealistic at best. I don’t think you realize that this won’t do for broadripple what you think, this is a leech building that makes no attempt at integrating into the neighborhood in the slightest. Greedy pig developer and weak uninformed gub’mnt officials. Say goodbye to broadripple and hello to something more forgettable.